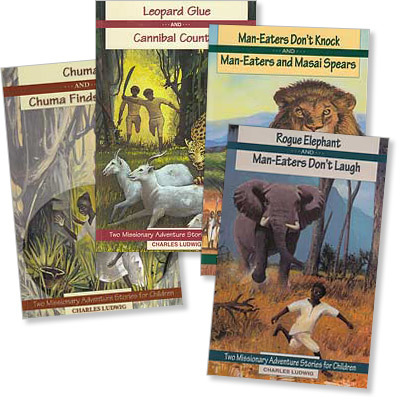 We are an independent vendor of materials by Rod & Staff and other publishers. 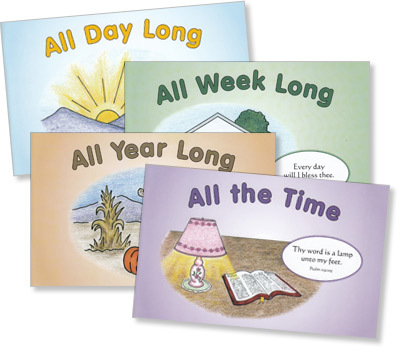 We offer affordable Bible-based curriculum and character-building storybooks, helping build a solid Christian education for schools and homeschools. These quality textbooks take a traditional approach to schooling. We attempt to sell the best, and strive to provide fast, friendly service. We're a small business located near Halsey, Oregon, but we ship worldwide. Your questions and comments are welcome. 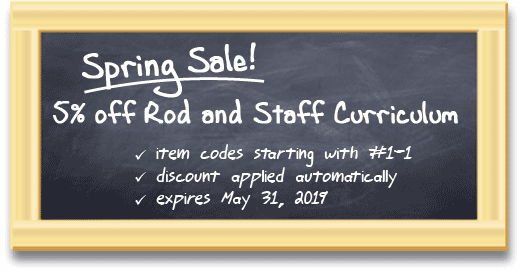 Rod and Staff Curriculum Sale: now 5% off! 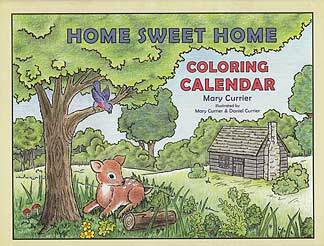 This make-your-own calendar includes twelve pictures to color as well as blank calendar pages so children can fill in the days for each month. 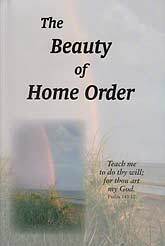 Each picture includes a verse or saying related to the theme of homes. It is undated, but includes thumbnail calendar dates in the front through 2026. 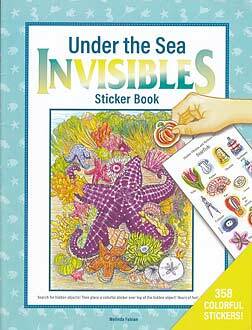 This book is designed to help your children express their creativity. 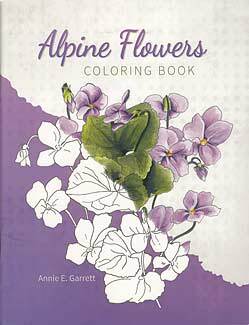 By coloring the pictures carefully, they can enjoy them each day of the month. Later, verses from outdated calendars may be framed to be used as mottoes. As children fill in the numerals for each day of the month, they will observe that a month may begin on any day of the week. Below the numerals, they may want to write birthdays of family or friends, or other important events. We hope this calendar will increase children's interest in understanding and using a calendar regularly. When Johhny Miller received his draft notice at the height of the Vietnam War, he knew that as a follower of Jesus, he could never take a human life. 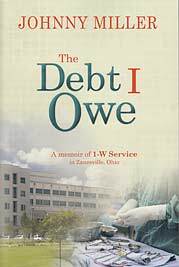 Although his debt to God could never be paid in a lifetime, Johnny was willing to serve two years in 1-W service to pay his debt to his country. Few people realize that while the Reformation was altering the face of central Europe, a parallel movement was underway in Spain. It was inspired by brave people who dared to study and practice the Bible in the face of intense opposition from the Catholic Inquisition. Among the leaders of the Spanish Reformation was Casiodoro de Reina, a man who passionately wanted to provide the people of Spain with the Bible in their own language. During the twelve years he spent translating the Bible, the Inquisition ruthlessly hunted him in an effort to destroy his work. 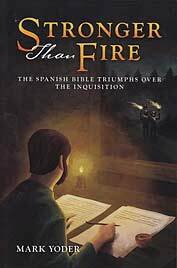 As Casiodoro fled from country to country across Europe in search of safety, the Inquisition imprisoned, tortured, and burned his fellow believers, determined to suppress the spread of God's Word. Sequel to Fountain of Life; also available as a set. "Don't Let Adam's ideas confuse you," Father told her. But her brother Adam said, "I'd advise you not to let Father influence you so much." Father warns that Jerusalem and its temple are destined for destruction. Adam declares that God will never let His temple fall. He believes God will soon destroy Roman rule and restore true Temple worship once more. Is Adam right? Or does Father speak truth when he says that believers are now God's living tabernacle? From the Hightower Book Series. 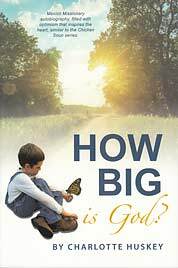 A sequel to How Big Is God? My Little Creation Book - "Little Lamb Series"
From the Little Lamb Series. 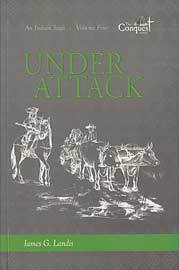 Under Attack (Volume 4) - "The Conquest Series"
Volume 4 of The Conquest Series; sequel to Tomahawks to Peace. Under Attack lets you in on the desperation and frustration of Moravian missionaries and converted Indians as the duplicity and greed of the Whites force them to leave their prosperous villages and start over again... and again... and again. As the story unfolds, you will thrill when adult heathen Indians like Chief Wassamapah, Renatus, and Papunhank cast themselves upon the Savior's mercy and seek healing for their souls... and a place of quiet refuge for their bodies. In Under Attack you will witness the suffering and injustices thrust upon godly people as they are driven like cattle from one place to another. You will read true accounts of slander, race baiting, theft, murder, deportation, captivity, forced marches, and exile. In one situation after another the Christian Indians find themselves despised and unwanted by so many, yet possessing a power that draws men from the darkest corners of heathendom to join them in daily worship of the Savior. Listen in as the aging Glikkikan recounts to the thirty-year-old Moravian scribe, John Heckewelder, his version of the troubling times. Feel the tension as Glikkikan insists that he knows the underlying cause of what repeatedly pushed the Christian Indians out of their homes and villages. Young Heckewelder disagrees. 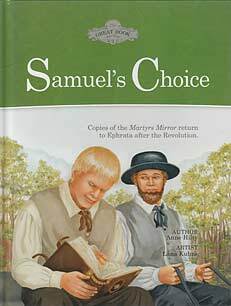 Samuel's Choice (Book 3) - "The Great Book Series"
From the Great Book Series; sequel to Cloud of War. The officer led them into a large storage room. In one corner of the room was a pile of crates. A few sheets of paper straggled out between the slats of the crates. Samuel thought... Those must be the Martyr Books! Heinrich's enemy was in his power. Could he forgive? Heinrich glared at the soldier, pity draining from his heart. "You killed a good man," he said at last. The soldier looked at him uncomprehendingly. "Have mercy, sir. I'm so thirsty." "Is this what you want?" Heinrich asked, holding up his cider skin. The soldier's face lit up. "Aye. Bless you for it." Heinrich spat. "Not even a drop. Here's your mercy." He turned the skin upside-down and squeezed every last drop of cider onto the ground. 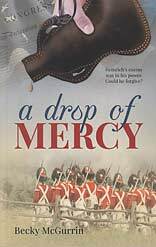 Heinrich walked away from the wounded soldier, but he could not get away from the wretchedness he felt in his heart. How could God show him mercy when he had been so ruthless? "Only a Heckendorn," they said. All her life Susannah found herself struggling to overcome the stigma of being one of John Heckendorn's daughters. "Too lazy to work," people said. "He'd rather roam the woods like an Indian. No wonder they're so poor." And poor they were. Poor, that is, in everything but children. Of children there were eleven and most grew up in other homes throughout the community. 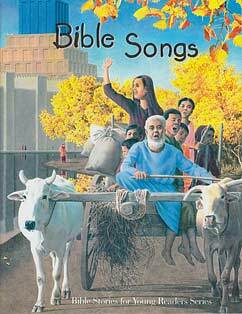 Among them was Susannah. As a young girl she found herself forced to live with the Martins, a prosperous Mennonite family—fine Christian people. Or were they? Susannah learns early on that appearance can be deceiving. 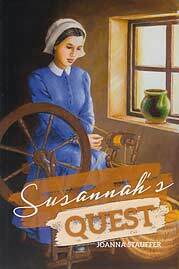 Susannah's Quest is a true story, a sad story, a troubling story. 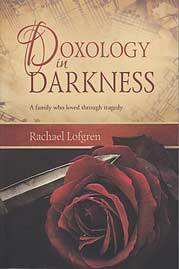 It's a story of hardship, emotional struggles, and sadly of church problems. The Bible is the best-selling and most widely read book of all time, but many people are intimidated at the thought of reading it. Maybe you've heard that it's an ancient and outdated book, or perhaps you've been told it's just too difficult to understand. What Is the Bible? 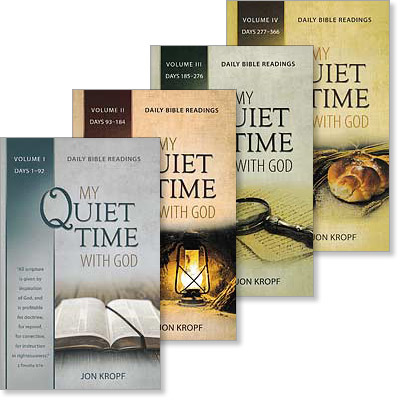 offers helpful tools to familiarize yourself with the Bible. You'll learn that knowing more about the time and culture in which the Bible was written makes it easier to understand. You'll discover that it contains timeless wisdom—yes, wisdom still relevant in our modern world. And best of all, you'll find that it contains the greatest story ever told, a story with the potential to change your life forever. Is home a refuge to flee to or a misery to escape from? This largely depends on whether we accept God's order or not. Rebelling against or neglecting God's order results in chaos and is anything but beautiful. Accepting and practicing God's order results in a beautiful home. 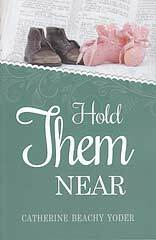 A large portion of this book deals with parenting, which is overwhelming without God's help. Are we aware of the directions God gives in His Word? Do we understand the importance of a Scriptural brotherhood? Do we realize the aid of the Holy Spirit? What if we have failed? Homelife includes difficult relationships, special challenges, or less-than-ideal circumstances. 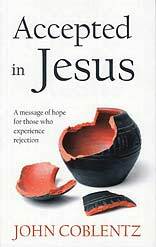 This book presents hope for such situations, even after failure or defeat. From the "Exploring..." Bible Study Series. 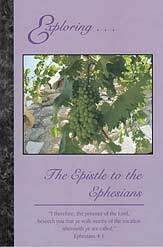 Paul addressed the Epistle of Ephesians to "the saints which are at Ephesus, and to the faithful in Christ Jesus." This included not only the Christians of Ephesus in Paul's time, but also all faithful Christians down through the ages to the end of time. What does it mean to be a "saint"? The original Greek word means "sacred" or "holy one." We cannot become saints through superhuman effort, but only through Jesus' regenerating work in our hearts. Saints are those who have been redeemed from sin by the blood of Jesus. They remain faithful in the pathway of holiness by yielding their lives to Jesus Christ. It is to these that Paul writes this profound epistle. From the Family Devotionals Series. 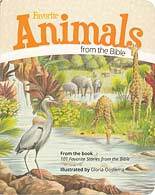 A Family Worship Resource: Devotionals for parents and youth, plus stories for children. Family worship is a time for parents and children to gather for singing, Bible reading, and spiritual instruction. Many parents see the importance of family worship, but struggle to find material suitable for their whole family. 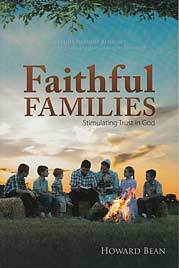 Faithful Families is part of a series of devotional books that addresses that need. 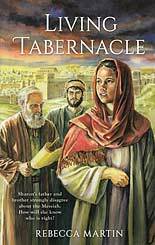 Each of the thirteen sections in this book focuses on a different Bible character—Noah, Rahab, Samson, and others. Each sections has readings for seven days, making ninety-one lessons—enough for approximately a quarter of a year. Each day's lesson consists of two parts. The first part is especially for Dad and Mom and the older children. 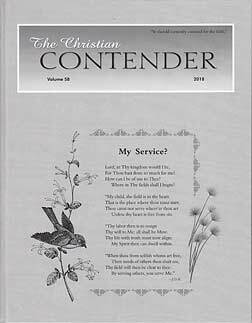 It includes a suggested Scripture reading, a theme verse, and a devotional meditation on the topic introduced by the Scripture reading. The second part consists of a reading from a continued children's story related to that week's theme. Each story is followed by questions for review and discussion, which provide opportunities for applying the theme to life. "I have set before you life and death, blessing and cursing: therefore choose life." Jordan looked down at the magazine cover hungrily, his heart thudding against his ribs. Captain Jim felt calm elation as he leveled the C-130 at cruise altitude. He'd show those boys some real power. Samuel didn't do it because he was humble. He did it to appear humble. Yes, he admitted to himself, it was an act. Kaitlin slipped down by her bed and the words came, broken words from a broken soul. It was not good English. It was good submission. Carlton ascended the stairs, pondering. How easy it would have been to shut out the inner voice and just do what he wanted to do like—well, like Martha had. But the difference, as he now saw it, was staggering. A sequel to Cindy. Also available in this set. Cindy Cox looked back on her childhood with a desire to forget. Those years had been filled with aching loneliness, the antagonism of her parents, the longing for love and joy, and the search for truth. 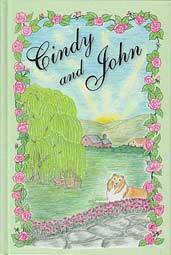 Since Cindy had learned to know her Saviour, she looked forward to a joyful future. And the future looked bright indeed! 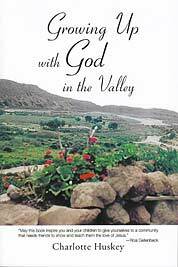 She had peace with God and was a member of the little Deep Valley Mennonite Church. John Miller was also an important part of her life. As their relationship grew and blossomed into mutual confidence and love, Cindy and John looked forward to a home of their own, one on which God's blessing would rest. But the ties to the past could not be entirely erased. Cindy still faced stressful times of relating to her ungodly mother and siblings. And where was Daddy? Should she try to contact him? She had not seen him for twenty years, and the desire to meet her birth father grew stronger. 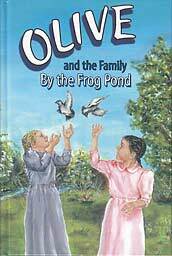 Fourth book in the Olive Series. 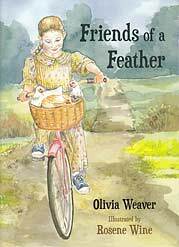 Sequel to Olive and Macy. Summer vacation has ended, and school days begin for Olive, Joy, and Macy. To celebrate the first day of school, the girls decide to sleep outside one night under a homemade tent of blankets. Olive and Macy cannot go to sleep right away. So they take a little walk to the tree bench. After talking a while, they pray a special prayer. They ask God to give Olive a brother. The girls do not know how God will answer their prayer. But one day, the Morrison family gets a phone call. A little boy named Colin needs a good home. Would the Morrisons like to give him a home? "Louise! Come see what I found!" Daddy called as he strode from the barn. He cuddled something in his hat. Ranger trotted behind him, sniffing and wagging his tail. He wanted what Daddy had. "What do you have?" eight-year-old Louise asked, bursting with curiosity. In her hurry, she splashed right through a mud puddle. Muddy water drops splashed onto her blue dress, but she did not notice. My Little Furry Friends Book - "Little Lamb Series"
Designed for children ages 4 - 6. 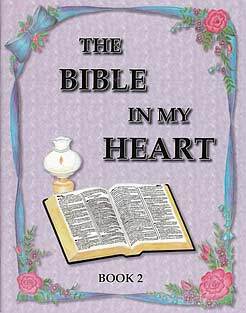 Sequel to The Bible in My Heart. Also available in this set. 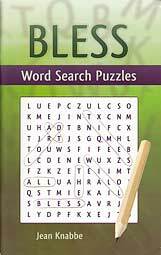 From the Word Search Puzzles Series. 90 puzzles. 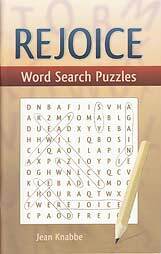 The Bible verses selected for these puzzles are taken from the King James Version. Are you looking for worthwhile ways to occupy your children? Do you want to brighten the outlook of a shut-in or a lonely senior citizen? Or perhaps you want to fill your own mind with thoughts of God. 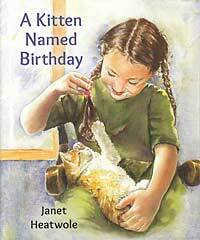 Six-year-old Sarah loves to play with her birthday present, a kitten she named Birthday. Because Sarah is deaf, she cannot hear when Birthday meows. Neither can she hear his purr, but she can feel it rumbling like a tiny motor inside his throat. 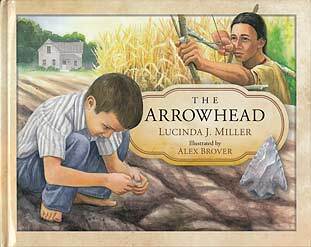 For many years an arrowhead lay hidden, buried in the soil of an Indiana farm. The Indian who had shot it was long forgotten. The generations of settlers who followed, chapping down trees and planting corn, never found it. Decades passed, and other families who worked the land never found it either. Then came Ted, praying and searching for an arrowhead like those his sisters had found. Will he find one? Julia got along better with her pet chickens than she did with her classmates. Sometimes the other children laughed at her, so she often just played by herself. "They don't like me," Julia told her dad when he encouraged her to be friendlier at school. But when she agreed to try, nothing seemed to work. When Teddy went to sleep in his room beside the kitchen, Mommy always sang his favorite song. She left the door open so light would shine on his pillow. 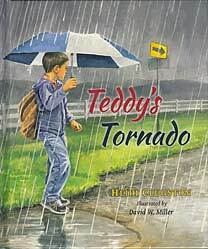 Then one frightening evening a tornado smashed Teddy's bike and destroyed his house. Teddy's mommy didn't have enough money for a new house. What would they do? Would anyone help them? 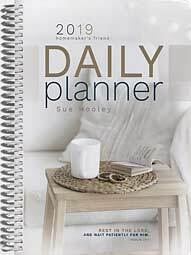 Designed for the busy homemaker, this planner will help you efficiently organize your schedule and de-clutter your mind. 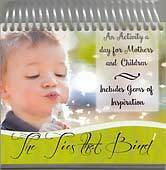 Includes pages for yearly, monthly, and weekly planning (2 extra transitional months included), as well as space for tasks, events, and addresses. A handy section of perforated pages in the back is included for weekly shopping lists—enough for the whole year. Thumb tabs, dog-ear page markings, and contextual calendars make this a fast reference tool. Along with inspirational quotes, weekly Scripture verses point you to the homemaker's true Source of all help and hope. 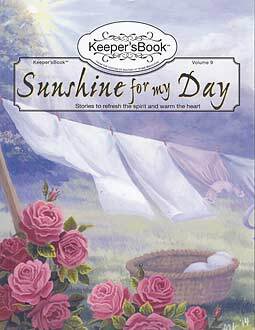 Page size: 5.5" x 8.5"
Sunshine for My Day (Volume 9) - "Keeper'sBook Series"
A Keeper'sBook from the editors of Keepers at Home Magazine. Life at Merrispring Farm takes an unexpected turn one morning when Alan notices a problem with his neck. It feels tight and thick. For four-year-old Alan, the days spent in the hospital are frightening and tiresome. But Mother reminds him that God is with him. "And maybe," she says, "there are sick children in Mercy Hospital who have never heard about Jesus. Maybe God wants us there to tell those children about Him." 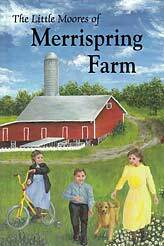 Whether in Mercy Hospital or at home on Merrispring Farm, Alan, Lora, and Lois learn about God's care for them. 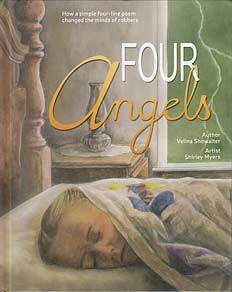 They learn about sharing God's love with other children who don't have the blessings they do. 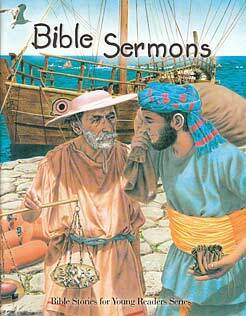 And along the way, they also learn other helpful lessons about how to live Jesus' way. Old Seymour can tell something special is going to happen today. Old Seymour sits and rocks all day in his old house high on the hill. He knows he is not like most folks. "A-ain't t-too smart," Seymour says. Other people tease old Seymour and call him names. But today... something is going to happen. He can feel it all the way down to the bottom of his heart. Annie dashed through the bitterly cold twilight and entered the dim barn. Its heavy beams creaked from the cold. Cobwebs swayed in the corners. A thick smell from a hundred years of hay and cows emanated from the stalls, floor, and the very walls. Annie reached for the lanterns and matches and then stopped, absorbing the silence, letting herself be still. If she and her family needed to leave the farm, she wanted to remember the barn like this. Annie leaned against the wall and shut her eyes. 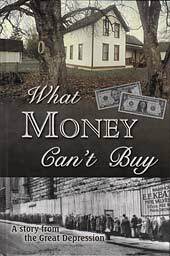 Caught in the vortex of the Great Depression, the Hess family needs to work and sweat and pray for every mortgage payment on their Ohio farm. Their savings disappear when the bank fails, and prices for farm goods drop ever lower. 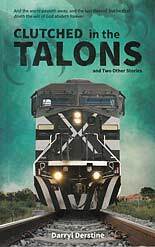 Disaster sweeps across the entire nation, and no one knows when—or if—things will get better. 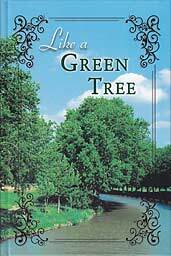 But even when life seems to hopelessly out of control, fourteen-year-old Annie finds that God is still unchanging and eternal source of true riches. Strange gift!—and yet, 'twas giv'n for gain. 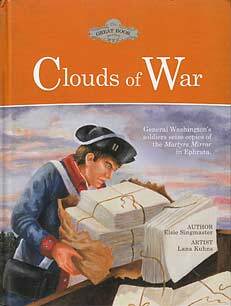 Clouds of War (Book 2) - "The Great Book Series"
From the Great Book Series; sequel to A Single Page. Disagreements and church splits can be disillusioning, both to those within our churches and to seekers. 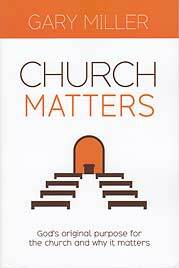 Some want to relax church standards in order to be more relevant to the surrounding culture. Others rigidly adhere to traditional lines. Both have strong arguments to back up their views. Who is right? Many of us have wondered at times, Is church life, as I am experiencing it, really what God had in mind? How can ongoing friction accomplish God's plan? Some have decided it's not worth it and have checked out, thinking it easier to worship at home than to deal with the personalities and opinions in the larger church. Others keep attending church but are constantly on the lookout for something else—something a little more compatible with their view of church. From the Hightower Book Series. A sequel to A Faithful Father. 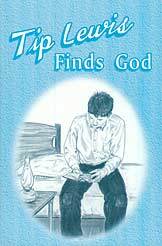 This is a compilation of true life events experienced by a young couple who dared to follow God's leading. James and Charlotte Huskey's faith and confidence in God were deep. 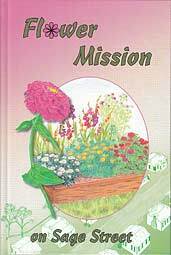 They did not hesitate to obey God's call to go to the mission field. This led them through many dangerous and exciting adventures. Charlotte gives a first-hand account of how God supplied needs when it seemed impossible. She tells about James' arrest, of emergencies with no way to send for help, and how they were stranded in a burning desert. 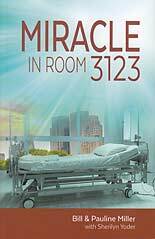 She relates how God miraculously healed their bodies, sent help just in time, and directed their lives. From the Hightower Book Series. A sequel to Mabel. From the Hightower Book Series. 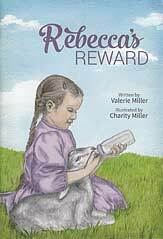 This memoir is about Mabel, a remarkable young girl left alone in the world. Her life is shattered when both her mother and brother die, and her father abandons her. While struggling to survive, she is mistreated and falsely accused. 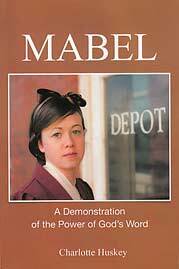 Mabel's strong faith in her heavenly Father is put to the test. Will she ever have a home to shut out the cold or a family with hearts of love as she once had? After enduring four turbulent years, Mabel receives a letter from her papa. It is postmarked Oklahoma City. She uses all her money for a train ticket and goes searching for him. 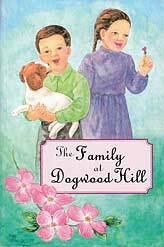 It is 1917, and without any modern communication, will Mabel find her papa in a city of 90,000 people? 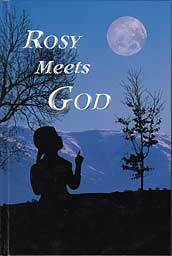 If by a miracle she finds him, will she be able to love and forgive him? 2 Corinthians 4:8-9—"We are troubled on every side, yet not distressed; we are perplexed, but not in despair; persecuted, but not forsaken; cast down, but not destroyed." The Graber family has a busy growing season ahead of them, and the entire family pitches in to help. 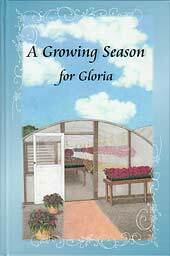 Thirteen-year-old Gloria finds herself busy in the greenhouse—restocking the racks with fresh flowers, designing attractive planters, answering customers' questions, and ringing up sales. 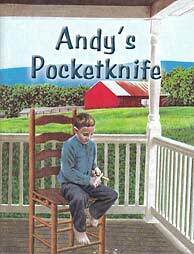 Andy's pocketknife was the best thing he owned. It had a sharp blade and a fine, shiny handle. Andy carried his pocketknife everywhere. He used it in the barn and in the woods. He carried it to the pasture and to the orchard. Esther loves to go to market to help Papa sell his vegetables. She likes to place the vegetables neatly on the tables and then to talk to the people who come to buy them. Two big tears roll down Rosy's cheeks. The little white car goes up the hill and down. 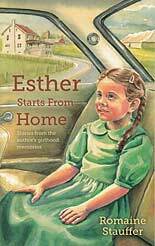 It takes Rosy farther and farther away from the big white house where she had lived with other foster children. The white car goes up and down another hill and around a curve,... and there is a tan house with brown shutters! There is a big tree with a swing. And Rosy feels afraid. "This will be your new home," the tall lady says. She puts her arm around Rosy. "The kind man will be your papa, and the sweet lady will be your mama. They love little girls." "I'll never love them, Rosy thinks. " 'Cause I'll soon have to leave again." But Rosy does not say anything. Fear and sadness fill her life, and she does not understand the feelings in her own heart. How Can Anyone Say God Is Good? Nick is fed up with life. Family, financial, and relationship problems have made his life difficult. And everywhere he looks, he sees pointless, purposeless pain. Natural disasters strip some of all they have. Others become victims of war, terrorism, political upheaval, and random shootings. Many experience the ravages of hunger and sickness. Suffering is everywhere! But most amazing to Nick is that in the midst of all this agony and chaos, there are simple-minded people who still believe in a supreme being—one who could stop all the suffering, yet allows it to continue. And then they have the audacity to say their God is good! 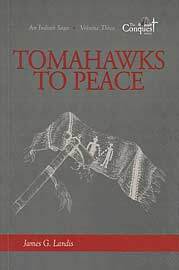 Tomahawks to Peace (Volume 3) - "The Conquest Series"
Volume 3 of The Conquest Series; sequel to Homeland in My Heart. 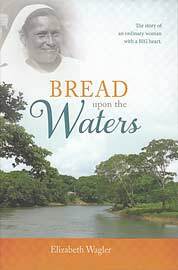 In this book you will feel the terror of nineteen-year-old missionary apprentice John Heckewelder in the Ohioland. Left alone on the Muskingum River by his mentor, Christian Frederick Post, young Heckewelder suffers hunger and sickness. Famished and weak, "Turtle" Heckewelder is taken captive by Big Indian, a savage Delaware. In a complete reeducation campaign, Big Indian shatters all the pet myths of the Whites that Turtle had been taught. 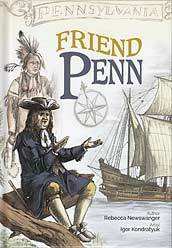 He tells Turtle impassioned stories about George Fox, William Penn, Thomas Penn, Conrad Weiser, George Croghan, Pisquetomen, Canasetego, Nutimus, Teedyuscung, and Israel Pemberton. It was all so different from the "history" Turtle had heard during his Eastern Pennsylvania upbringing. Struggle with Turtle in his isolated and lonely condition to decide if the tales Big Indian tells are the truth or only fabricated stories to make the Indians look good and the Whites appear as villainous thieves. The story of an ordinary woman with a BIG heart. A house to build in tropical Belize. Babies. Piles of food and piles of dirty clothes. Caring for aging parents. More babies. Added to the duties over the years was a husband who worked hard but also fostered harmful habits. Although Gertel was grateful for her family, sometimes she had to cover her eyes and sigh with exhaustion. As her family grew, her responsibilities changed‐but still there was little rest in sight. 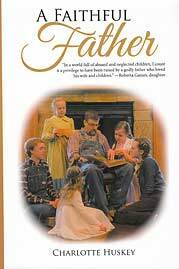 Children who were not her own needed Gertel's care, and her husband became an invalid. 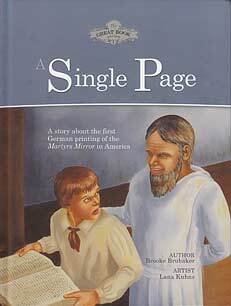 A Single Page (Book 1) - "The Great Book Series"
From the Great Book Series. How much do you know about the cities and towns mentioned in the Bible? Could you still visit these places today? 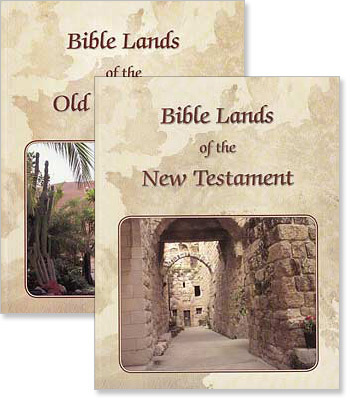 This set of two books gives the Biblical accounts, followed by more current information to link the long-ago names and places to modern towns and countries. 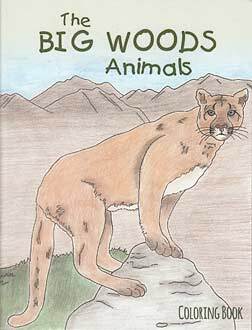 Each chapter contains simple, hand-lettered and -colored maps that are easy for a child to follow in creating his own with the blank maps provided at the end of each chapter. Suitable for children in the lower grades. Daniel enjoys being a helper. He gathers vegetables from the garden for Mother and puts tools away for Father. Each day is a day of helping and learning for a seven-year-old boy. Daniel also enjoys playtime with Laddie, his big collie. Laddie can play ball and do some tricks. 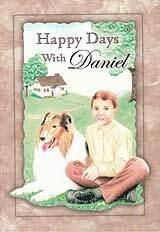 Daniel loves his pet, and he is sad one day when Laddie gets his foot caught in a raccoon trap. He worries about his pet, but Father assures him that God cares even about dogs like Laddie. Daniel enjoys his friends too, and he wants to cheer them up when they have hard times. His friend David must sit in a wheelchair every day. Thomas has a broken leg, and cousin Nevin has diabetes. Daniel wonders why God allow some people to have so much sadness in their lives. 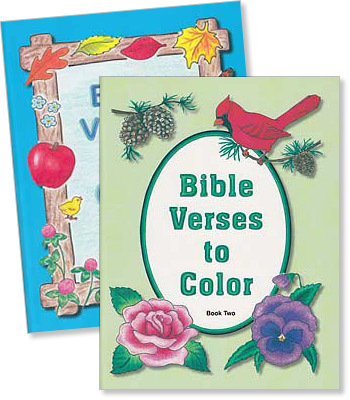 Each book contains 24 Bible verse posters that can be colored. 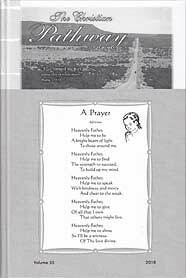 Perforated pages (8" × 10.5") allow easy removal for display on bulletin boards, wall décor, etc. 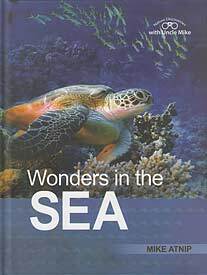 2 new titles in the Nature Discoveries with Uncle Mike photobook series for young children. 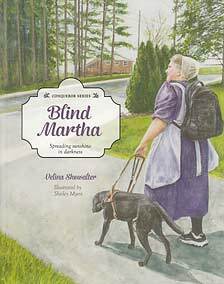 Blind Martha - "Conqueror Series"
Kevin, Violet, and Andrew live in a happy home on Dogwood Hill. With Christian parents to help them, the children learn important lessons about life. When Andrew shares an unkind story about one of his friends, he learns about slander and how it hurts others. The discovery of purple beans in the garden brings the opportunity to learn about wastefulness. Lively, roly-poly puppies give the children a chance to learn about treating animals kindly. A wheelbarrow load of tomatoes teaches perseverance. The natural world around Dogwood Hill also inspires learning. 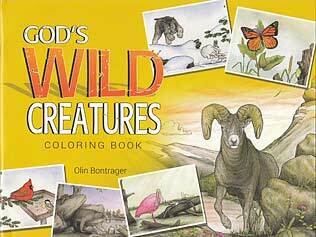 From cardinals and monkey flowers to doodlebugs and bats, the children learn to see the hand of the Creator. Leroy Martin smiled as he drank in the freshness of the May afternoon. Blue skies, a gentle nip in the air, and the tender green of bursting buds filled the countryside. 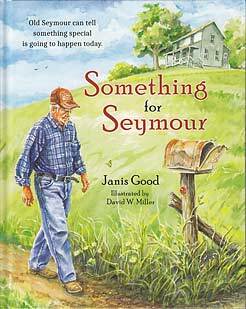 From his perch on the tractor seat, he could see his father's fields stretching before him—three hundred acres of a well-managed farm. The barns and pastures held a herd of cattle that was known to be one of the finest in the area. 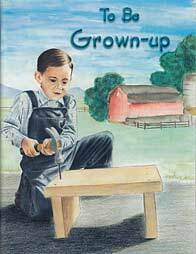 Leroy enjoyed his work on the home farm, but life held more than just work. He also enjoyed his friends and their frequent ball games. Eva, a fine young lady, also held a place in his thoughts; and altogether, it seemed that life was working out in a satisfactory and comfortable way. But his complacency was seriously jolted when his friend Mark—the most valued athlete on the team—no longer had time for ball games. "God has been showing me that I've really been living for myself," Mark shared. "I love to succeed. I love to have fun. But where does God come in? Am I dying daily for Christ, as Paul did?" "But do we really have to go that far, to be an oddball and have such a radically different life?" Leroy asked. "A lot of people are Christians without going off the deep end." Twelve-year-old Andrea looked forward to spending four summer months at Grandpa and Grandma's delightful little cottage on Sage Street. With her sister Amy and her brother Alex to keep her company, the days would fly swiftly until Father and Mother returned from their missionary trip to India. But the cottage on Sage Street is small, and Grandpa and Grandma do not have a garden, because plants do not grow well in the Sage Street area. The rest of the neighbors living on Sage Street are older people—like Grandpa and Grandma. What will three lively children do all summer? That first evening, Andrea's thoughts churned as she prepared for bed. If only she had a place to plant flowers, she would be content. But it was out of the question , for the soil was so poor that most plants refused to grow. It was too bad, for surely the older people who lived in the other cottages would also enjoy a hobby like growing flowers. 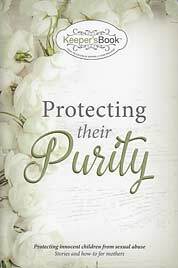 Protecting Their Purity (Volume 7) - "Keeper'sBook Series"
What can be done to prevent it? How can we protect innocent children from its emotional, physical, and spiritual consequences? Are there ways to shield them? Should we talk about sexual things? When? How much? The seventeen authors of Protecting Their Purity provide biblical encouragement and practical answers to one of the most important parenting questions of our day. Many of them have experienced abuse personally. In Protecting Their Purity they offer how-to, encouragement, and most of all, hope. Hope for mothers of children and teenagers who take seriously their responsibility to protect their daughters' purity. Just Married! 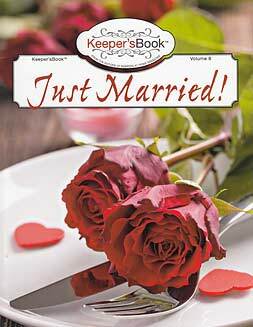 (Volume 8) - "Keeper'sBook Series"
In order to bond with our children, we must invest time in their lives. Unless we are intentional about this, opportunities slip through our fingers. Minutes spent today to build relationships with our children will yield benefits tomorrow when outside pressures threaten to unravel those ties that bind our hearts together. From the Bible People Series. Caleb's Cookies and Kittens (Book 4) - "Manners Are Homemade Series"
Book 4 of the Manners Are Homemade Series. 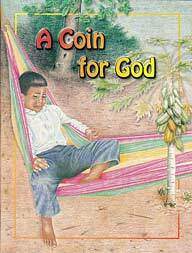 Will Lorenzo be willing to share the coins Tío Francisco gave him for helping to pick papayas? 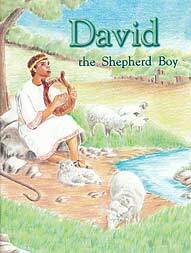 This story will familiarize children with the Guatamalan culture and will teach them the joy of giving to the Lord rather than selfishly keeping all for themselves. "Mamá!" Lorenzo called as he leaped onto the porch where his mother was washing clothes at the pila. "Papá is going to Tío Francisco's field to help him pick papayas. May I go along to help? Papá said I may if it is okay with you." "Yes, that is fine with me," Mamá agreed, flashing her excited son a smile. 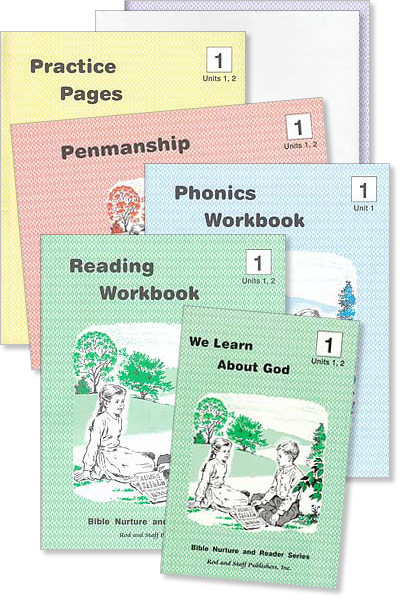 The 3rd Edition of the Grade 1 Bible Nurture and Reader Series provides texts and workbooks for most of the first grade pupil's basic needs—reading, phonics, language, spelling, penmanship, and Bible memory. Separate math, music, and art courses are available to round out the first grader's curriculum. 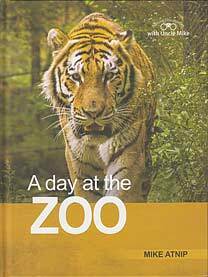 This edition has a greater emphasis on phonics than former editions. 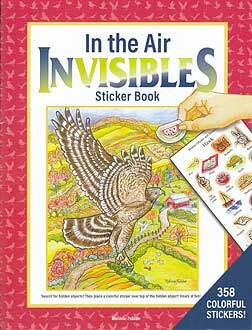 It contains considerably fewer sight words, and has much more drill and practice built into it. The stories are from the Bible, but have been rewritten to fit new word lists. One little stitch is the start of this story. 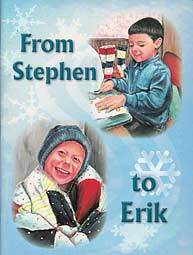 Many stitches later, Stephen has a very special comforter—cozy and bright. It is just right to give away to someone who needs it. Stephen never knows where his comforter goes. But God knows. He knows exactly where Stephen's comforter is needed! More than anything else in the china cabinet, Mary Ellen Stutzman likes her mother's gold carnival pitcher. With its glowing rainbow colors, the pitcher is the most beautiful one that Mary Ellen has ever seen. Not only is it a lovely pitcher, but it is also a precious heirloom that once belonged to Daudy Kauffman. Sometimes Mary Ellen wonders how the pitcher was made. How did the glass get its rainbow colors? What other stories lay hidden in that beautiful, old pitcher? 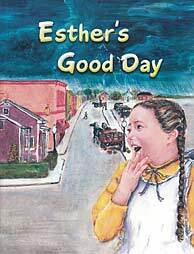 Suddenly something dawned on Esther that she had never thought of before. "We live in the middle of the world and everybody else lives around us." "What's so funny?" Esther cried. "We do, don't we?" "Yes, dear," Mom said. "Our home is in the middle of your world. That's the way it should be." "You can start from home and go anywhere in the world—and all the way to Heaven too," Daddy said. Little Pedro from Paraguay needs to have a series of shots to help his body heal from a disease. Will he be brave through the whole ordeal as God heals his body? This is Pedro. He lives with his family in Paraguay. When Pedro was almost six years old, he became very sick. Father drew Pedro onto his lap. 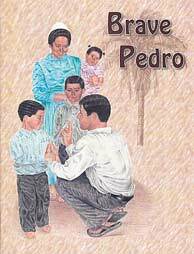 Pedro rested his feverish head against Father's chest. Father took Pedro's thin hand in his big, strong one. Pedro closed his dark eyes. He felt so safe to be in Father's arms. 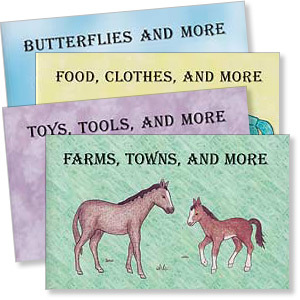 Words are broken into syllables, and pronunciation is included with harder words to help the beginning reader. 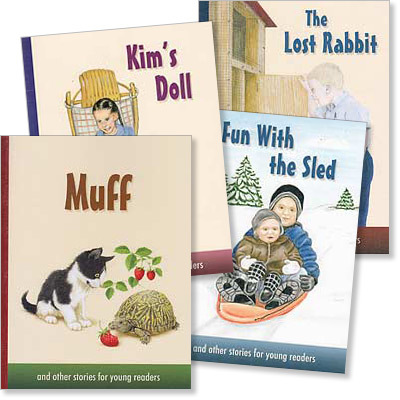 Each book in the Don and Jill Series is written to make a child's first reading experiences a pleasure. Simple words and short sentences allow first graders to read a whole book on their own! A cold... a fight to breathe... weakness... death. ...take you through the Bible chronologically and topically. ...provide a flexible schedule by using numbered days rather than dated readings. 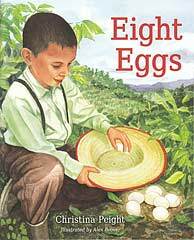 ...are simple enough for young readers, but stimulating for older ones as well. ...are small enough to place inside most Bibles. ...help you focus on the passages and remember them. Every person has a deep need for fellowship, camaraderie, and companionship with others. But in our fallen world, rejection is commonplace and painful. We hurt when we are left out or purposely excluded, especially when it involves our family, our close friends, or our church. Rejection has driven many people to become rebellious, controlling, intemperate, or obsessed with their performance. But being rejected does not doom us to living in misery and bitterness. Jesus offers a far better way. As believers, we are spiritually united with Jesus. In Him we are loved and accepted. In Him we receive the declaration of full approval from the Father. In Him we have the promise of being received into glory for eternity. This is an unspeakable wonder! Jenna, the older sister, was beautiful. Talented. Popular. Neat. Confident. Sarah was the next born—the ordinary one. For years she was simply known as "Jenna's sister," without an identity of her own. Falling into the trap of comparison, Sara became all too familiar with inferiority, the gut-wrenching pain of believing she was worthless. But she found victory and wants others to find it too. I share my testimony for two reasons: First, it is my song of victory to God in thanks for His glorious freedom and healing, as well as a declaration to Satan that I am done believing his lies. Second, I share it because I am convinced this is a much-needed message, especially among youth girls. I have an urgency to offer hope to young women who feel of little worth, inferior, or who think of themselves as failures. In Christ, there is a way of escape from these debilitating feelings. 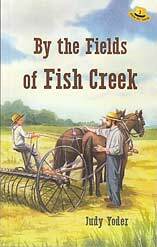 By the Fields of Fish Creek (Book 2) - "Little Eli Series"
Book 2 of the Little Eli Series. A sequel to You Are Too Small, Little Eli!. Here he is again, little Eli—still small but a bit older, a bit taller, and still wishing to help Dad on the farm. At their new home in eastern Kansas, a place of creeks and fertile fields, Eli is more than just a water boy. He milks Hipbones every day, and when the rush of summer arrives, Dad needs his help to rake the sweet-smelling hay. Dad also promises Eli he may run the buckrake, pushing the windrows into piles. But each time Eli tries, something dreadful happens. 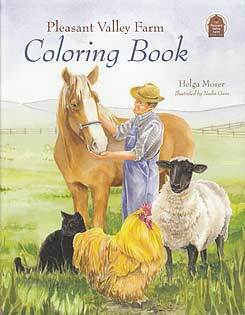 Pleasant Valley Farm Coloring Book - "Pleasant Valley Farm Series"
A God's Miracle series book. Through lovely verse and full-color illustrations children learn secrets about the butterfly's life. From stationary egg through creepy crawly caterpillars, a cozy den and wet wings, the wonder of a butterfly points to our amazing Creator. That flutters on our lawn. I blink and he is gone. With wings of cheerful lace. They flicker through the sunny skies. What fun for us to chase! Every Sunday morning the children at the church in Hickory Stick were treated to a horse story from the man who played with sticks—horse trainer Vernon Boggs. But the stories weren't only for the children. The very first Sunday, Vernon explained, "I'm going to tell you a story about a horse named Raven. At the same time I'll be teaching a lesson to your parents, if they listen carefully." 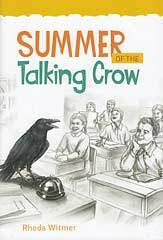 So Vernon Boggs told the children how he almost gave up on Raven, an angry, fearful horse who seemed impossible to train. On another Sunday he told them about Cinnamon, a horse who refused to go where his rider wanted. The children learned how an older, well-trained horse taught a younger, restless horse how to behave, and how a mule could win a race without being whipped to run faster. The children and parents in the congregation at Hickory Stick learned about more than training horses. 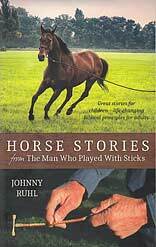 Through the horse trainer's stories, they learned about obedience, God's ways, and being useful in God's kingdom. Jesus loved people. He blessed children. He told stories, taught lessons, and stretched out gentle hands to heal. 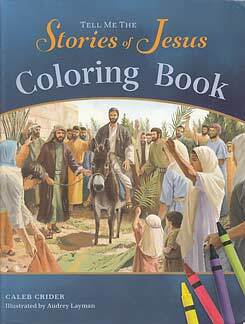 These simple stories and vivid illustrations help young children see Jesus as a real person who did real things. 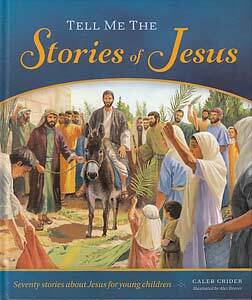 Tell Me the Stories of Jesus will begin to form in children's minds the outlines of a picture that will be filled in as they grow—the picture of Jesus as a caring, understanding, and trustworthy Friend. 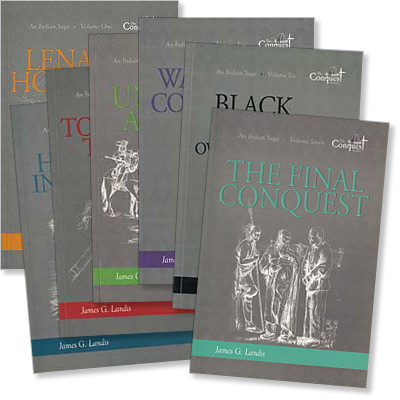 In gripping narrative, the first volume of The Conquest Series tells the early history of the Lenape Indians and the coming of the white man to the Delaware River Valley. It shows why the Lenape claimed the lands they lived upon as their homeland. 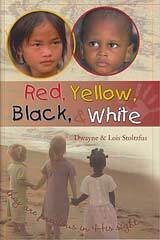 It explains Indian concepts of land use and details how the Lenape men came to be called women. Intent upon dominating the Lenape and their lands, avaricious Whites cames from England, France, Holland, and Sweden, sailing across the Great Salt Sea in their inspiring white-winged canoes. Men from each arriving nation brought their rivalry and warring methods to the Lenape homeland. This Indian saga reveals how great sachems of the Lenape—Eesanques, Mattahorn, Tamanend—tried to preserve their homeland amidst the wonders and terrors brought by these European invaders.